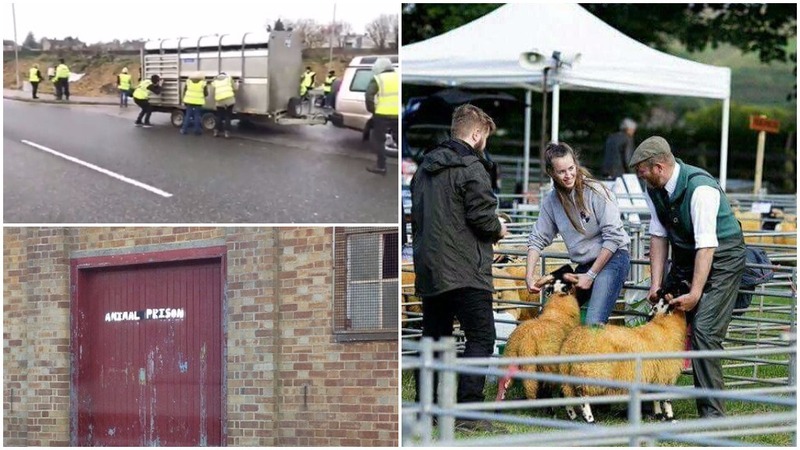 Animal rights activists have been staging protests at livestock auction marts across the UK over the last couple of months. I, like many of my contemporaries, am proud to be part of British agriculture. Farming is the oldest way of life, and the only way we know. Practically born wearing wellies, I grew up jumping in puddles and feeding pet lambs. My teens were spent perusing science, eyeing up the strapping great young farmers at the shows, and gaining a voracious appetite for all things agriculture. I am proud to have this heritage in my blood, as are my parents - as are their parents, and so on and so forth. I am proud to know the meaning of hard work – of blood, sweat and tears. Blood, when you jam your fingers between sheep horn and fencepost. Sweat, when it’s a blistering hot day in the clipping shed and you’re ‘buchting up’, and trying to get coffee to the menfolk before they start grouching. Tears, of frustration when you’ve sunk the quadbike (again) and you have to call your dad (again), or of sadness, when you lose an animal you cherished. The children I will one day have will know what it is to experience such a great responsibility – or liability! – as good stocksmanship; to learn compassion for another being was the first lesson for any of us born into it. And I, like many others, believe that if you do not understand the hours of dedication, backbreaking work, the early mornings and late nights and above all, the sheer passion that goes into raising our animals, then you do not have the right to preach to us. I am of course making a referral to the recent protests by animal activists at livestock marts across the country. Frankly, we don’t mind if you choose not to consume animal products – what we do care about though, is when this turns militant. When these people start coming to our marts to protest at us selling our livestock, that is where there is a problem. I don’t exactly stand in the middle of the staff car park on campus and interrogate my lecturers on why they’re coming into work, because I maybe don’t like their methods of teaching or some such thing, do I? Could be fun, who knows. The point is, food consumption is a personal choice and these people – as well as stopping ordinary folks from going about their business – are dictating to us. We farmers are trying to make an honest living from the earth and providing the nation with food, be that meat, dairy, eggs, cereals, fruit or vegetables and this intervention is at the very least, irritating. At most, it is damaging. Damaging, because these activists accuse us of cruelty and malpractice – I take the greatest offence to this, I find it insulting, degrading and barbaric that someone could accuse the people who break their backs to make a living from the land, of mistreating their livestock. Slightly ironic that these activists weren’t at work the day they chose to show up to the mart, eh? Perhaps what I find most distressing – of course, tied into these damning accusations – is the lack of education surrounding livestock production. Activists are all too keen to tell people that we rip calves away from their mothers to steal their milk, that there is no such thing as humane slaughter and would have us believe that the meat product on our plate is a mere baby animal. Is this actually the case? I think all of us here are grown up and educated enough to know the answer. This is where we lose any respect we had left for these people – for them to turn up on our turf and make false statements such as they do, is an odd mix of laughable, infuriating and childish. 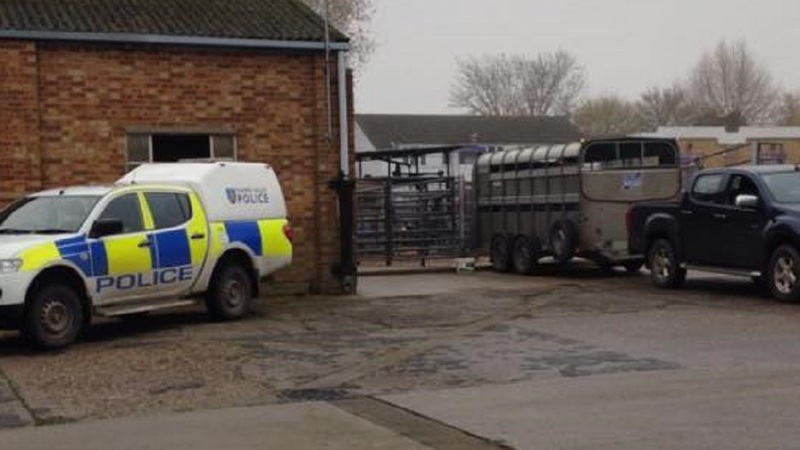 And the mart loading bay isn’t big enough for everyone, so take your claims of #notyourmilknotyourmother and your man-bun, and kindly trundle off elsewhere – preferably to the nearest gluten free, vegan friendly coffee shop, where you will more than likely be met with a considerably warmer welcome than at a mart full of stony faced farmers. I think that, with these people, the major bone of contention is that they believe that animals cannot be ‘owned’. Well, yes, they can – we bought and paid for them. We gave a considerable sum of hard earned money to a farmer for their hard work raising this here cow, for us to continue to look after it on our farm. It’s like buying a puppy – something that these activists cannot seem to comprehend. Cats and dogs, even goldfish can be owned, but livestock can’t? Yet we are the ones being accused of “speciesism”! As owners, keepers, shepherds, managers, contractors, collectively we ensure the care of our animals in our keep, and if we do not, then we face severe consequences – luckily, this does not happen all too often in the UK given that we have amongst the highest standards of animal welfare in the world. 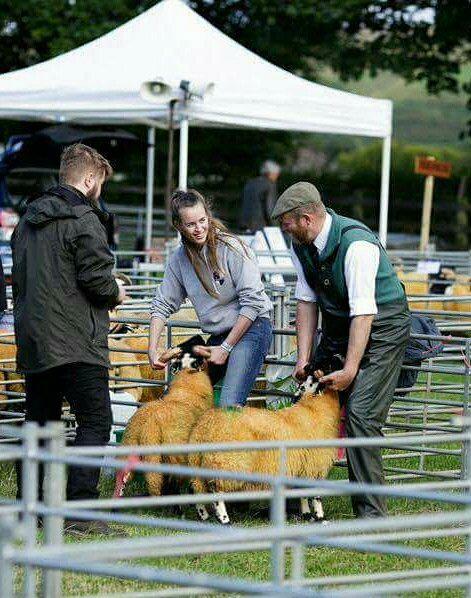 But, as people who work with these animals day in and day out, as people studying agriculture and livestock sciences, as people brimming with ideas for the future of British farming, we understand that there is a line drawn between animals that are livestock, and those that are not. Livestock have their own purpose, and that is chiefly for consumption. We are there when they are born – sometimes we even help them come into the world. We care for them when they are cold, sick, and hungry, the kids play with the pet lamb, and teach the pet calf to play football. We are there in the bad weather, squelching around in the clarts in a bid to ensure their health and wellbeing – I have seen my own father coming home from the hill after dark many a time, because he has used the last remnants of daylight to check the stock; I have been out with him in the pitch black at 10.30pm on a March night in the biting wind looking for a Galloway who was calving - the irony of looking for a black cow in the dark. We are there to vaccinate them, and dose them with minerals, and check their feet, trim their horns, muck them out, feed and water them, scratch their lugs – all very cruel and terrible things like that. And we are there, ultimately, when it is time for them to die. We carefully load them into the wagon, they are taken to the slaughterhouse and – this bit is important – humanely slaughtered. The next time we see them, they are on our plates. Alongside a helping of steaming British grown tatties and veg, a wee smatter of gravy and possibly some mint sauce, it is the epitome of a healthy meal for a hardworking farmer – or indeed, as it has been shown time and time again, for anybody. Any farmer will tell you that there is nothing wrong with this. And whatever your views on humane slaughter, just remember that it is not your place to say. It is not your place to interfere with our livelihoods – we have an understanding of these animals far superior than you. We are utilising the millennia of knowledge passed down from the days the first animals were domesticated. You are using what, exactly? Bold claims from PETA? I have not entered into this with the intention of attacking a group of people, but when said group of people are so blasé, so ignorant towards the very people that make up the bones of society, so militant and dare I say, extremist, it cannot be helped that I vehemently argue my case to fight back against this damning act upon me and my likeminded countryfolk. When it comes to the point where these activists are swarming onto our land and opening our gates, turning up at our shows and letting livestock out, protesting at our marts and slaughterhouses, deliberately entering into discussions on farming forums across social media and slandering us with some of the vilest hatred I have ever experienced, that is the point where we farmers stop listening. Should these people take issue with what we do, we are not the people they should dictate to. Asking us to turn into ‘vegan farmers’ is laughable. What do you want us to do? Cut down the little remaining forestry in a bid to grow soya and the fashionable quinoa like what is happening in the Amazon? I think not – I’m not even sure you should eat something that is pronounced differently to the way it’s spelt, frankly! To the activists I say this: we were here long before you, and we’ll be here long after. Whatever Mother Nature threw at us, whatever legislation changes we underwent, whatever way the market prices swung, we endured it all. Nothing you can say will change the fact that we will always be here, maintaining the countryside and feeding our nation. Do not forget this.